Chicago has been hailed as one of the top 10 cities in the United States. It’s a tourist-friendly city teeming in culture and the arts. Whether your interest is good music, great food or world-famous music, there is something for everyone in Chicago. Even nature lovers will appreciate the blooming floral industry in Chicago. Just like the artistic diversity of the city, online florists and flower shops in Chicago cater to all sorts of tastes and preferences—from sustainable and rustic designs to polished, timeless arrangements. Here are the finest florists and best flower delivery services in Chicago. Steve’s Flower Market gives customers personalised service when you visit their store. A floral expert will attend to your needs and can design an on-the-spot arrangement just for you. You can also pre-order a standard arrangement or consult about something more ambitious. Of course, you can simply purchase fresh flowers from their online shop for a fast and convenient transaction. Each flower that ends up on your chosen bouquet has been hand-inspected, selected and hydrated to ensure the highest quality and longevity. Fresh flowers don’t have to cost an arm and a leg. Steve’s Flower Market provides the highest quality blooms at the lowest cost possible. They’re able to do this since they buy flowers in bulk straight from the grower, so customers get exquisite flowers at wholesale prices. Orders placed as late as 1pm are still eligible for same day delivery for most areas in Chicago. Established in 2011, Fleur de Lis Florist is committed to customer service and overall satisfaction. The beautifully crafted designs in their online shop are thought through from start to finish. Their preference for low and lush arrangements is intentional since they are low-maintenance and last longer compared to tall arrangements. So, expect only the freshest and highest quality products from Fleur de Lis. DELIVERY FEE $20. Additional $10 for same day delivery. They accept same-day orders up until 2pm. Flowers for Dreams started as an unassuming college project. They initially sold a few hundred roses to parents outside a high school graduation ceremony to make a little money and make a difference. Fast forward to the present and this socially responsible Chicago florist has found a niche in the floral industry. Customers get high quality blooms sourced from local farms and markets in Illinois and Wisconsin. Plus, every bouquet you buy benefits a local charity. This way, flowers are used to fuel dreams as 25% of their net profits is donated to their chosen charity. Dilly Lily specializes in compact and colourful floral designs made with only the highest quality of blooms. Their distinct aesthetic is carried on by a talented team of floral stylists mostly trained in-house. They are self-confessed flower snobs because they aim to offer only the highest quality novelty blooms available. They choose to source all the highest quality flowers grown on sustainable, socially responsible farms located around the globe. Whenever available, they also obtain local and organically grown product to stock our coolers. To stand out from other Chicago florists and flower shops, Dilly Lily has an affinity for unusual and unconventional arrangements. For same day delivery orders must be placed before 2pm. Flora Chicago is a small neighborhood business perched on the corner of Southport Ave. and Wolfram St. in the heart of Lakeview, Chicago. It is co-owned by Sarah and Kate who met while working at Flora and bought the business in March 2018. Sarah, from Buffalo, NY, has a BFA in sculpture and 9 years of experience in the floral industry while working on other creative projects. Meanwhile, Kate, born and raised in Sydney, Australia, has over 15 years of horticultural and landscaping experience with a passion for traveling. Together, they give Flora the unique artistic touch which help them stand out from other florists and flower shops in Chicago. Every bouquet and arrangement is designed with the client in mind. Instead of stock photos of floral designs, they allow customers to customize their order by choosing the flowers (seasonal or roses), color palette, style and budget. This way, you get a customized floral creation that’s one-of-a-kind! Apart from florals, you can purchase succulents, potted house plants, terrarium and orchids online. They also hold classes and provide floral styling for weddings and events. Amling’s Flowerland is a family-owned and operated Elmhurst florist business that has been serving Chicago for over a century. Thanks to their superb arrangement and delivery service (which includes a one-hour delivery option), the shop continues to attract flower-loving patrons to this day. Asrai Garden was founded by Elizabeth Cronin in the heart of Chicago’s Wicker Park in 1999. They’re a retail outpost known for stunning floral arrangements, luxurious fine jewelry, and magical curiosities. They established an online shop showcasing their best floral designs, so flower-loving customers can quickly and easily send and receive their stunning floral offerings. If you can, they encourage you to wander in to one of their stores to immerse yourself in the whimsical ambience filled with captivating smells and thoughtful vibes. Marguerite Gardens is a European-Style flower shop with garden and contemporary floral design situated at Chicago’s charming West Town neighborhoods. They specialize in unique flower arrangements as well as wedding flowers featuring fun and unusual textures with flowers and foliage you won’t readily find in other Chicago flower shops. Established in 1932, Ashland Addison is a family owned and operated florist based at the corner of Ashland and Addison in Chicago. Several generations later, the family continues to grow the business by offering arrangements suitable for all occasions. Their shop retains a homey and cosy atmosphere to make customers feel welcome. Their high quality and fresh flowers are imported directly from growers worldwide. They also sell beautiful green plants and a delicious gourmet selection including baked goods! Pistil and Vine can help clients and customers make their dream wedding and event come true with their magical flower arrangements. You can contact them directly for floral consultations, so you can get started in making your vision a reality. They can even help you bloom your home using professionally handcrafted flower arrangements. 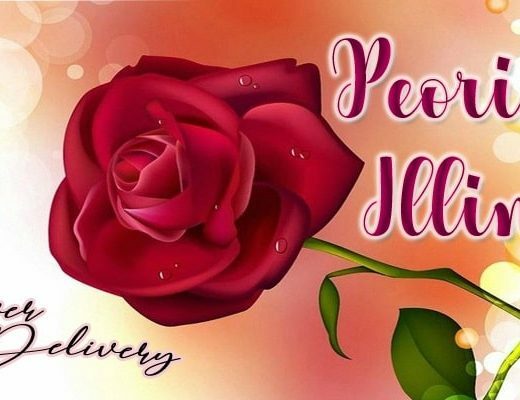 Flower Fetish has a pretty diverse catalog of floral designs to suit varying tastes and preferences of their customers, as well as suitable designs for major holidays and occasions. They have chic, European-style arrangements as well as wild, exotic compositions. Their vase arrangements in varying shapes and sizes can be great accents to the home, restaurant, lobby, hotel or office. Founded in 2003, Cornelia McNamara can provide versatile floral styling depending on the client’s theme, whether it be a classic wedding or a rap icon’s house party, a cultural gala for 1,000 people or a dramatic product launch. For each event, Cornelia uses her insider’s knowledge, experience, discretion and effortless talent to make it memorable. 13. Italian Court Flowers, Inc. Established in 1958, the Italian Court Complex lives by the motto “Simple Flowers for Complicated Lives.” They keep their bouquets, arrangements and floral gifts unique, lush, romantic and spontaneous. Each floral creation is tailored to reflect the customer or recipient’s personal color/floral preferences and budget. Customers can choose from small to large-sized arrangements. They also offer orchid plants in container. Other services include flower subscription, plant rental and floral styling for events. Marcel Florist is a local Chicago florist offering a large selection of floral designs applicable for a lot of events, occasions and intentions. They can provide same day flower delivery in Chicago for orders received as late as 4pm. 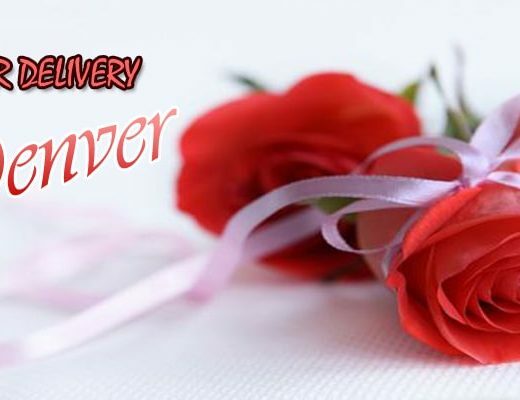 Order anytime, anywhere and be assured that your flowers will arrive promptly wherever you want to send them in Chicago. Chicago Flower Company is another Chicago florist offering same day flower delivery. Their wide selection of floral products, flowers for all budgets and various designs make it easy for customers to buy flowers even at the last minutes. Bunches has been serving the Chicagoland area since 1978, specializing in weddings, events, and custom arrangements. They have previously been featured by Chicago Magazine as Lincoln Park’s best florist for their garden chic floral designs. Their natural aesthetic infuses a contemporary twist to make them more memorable. Another secret to their success is their excellent customer service. Designs by Rosa is a family owned floral and event planning business since 1992. They offer beautifully designed floral arrangements available for delivery to Chicago residents. You can find floral arrangements perfect for holidays, weddings, birthdays, corporate gifts, loved ones, funerals, and any other event. 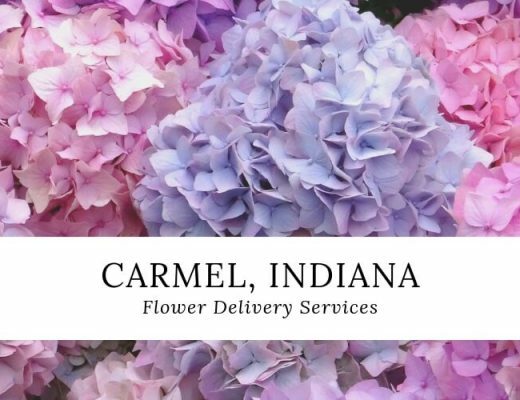 Their extensive catalog includes all types of flowers, including hydrangea, lilies, orchids, roses, tulips, plants, and more.